1: Octospora gemmicola var. tetraspora, apothecia. Image by Dirk Wieschollek. 2: Octospora gemmicola var. 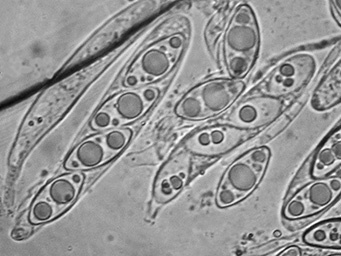 tetraspora, ascus with ascospores. Image by Dirk Wieschollek. Wieschollek, D. 2013. 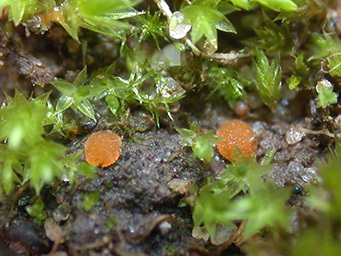 Octospora gemmicola var. tetraspora Benkert - ein viersporiger Moosbecherling neu für Sachsen-Anhalt. - Boletus 34: 67-71.